While looking for a way to get connectivity from a roof top pool down the parking garage. Daniel and I got off the elevator on the 16th floor of a newly renovated building and saw these really cool paintings. 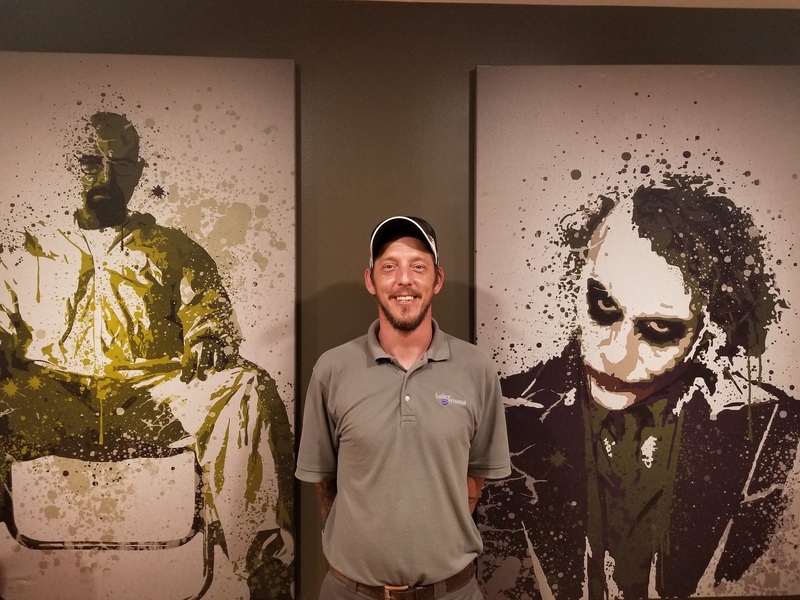 Now there is the Joker, Walter White and our own Bailey Systems Daniel Rattien.